Learn about the benefits of disability insurance. In life, you need to be prepared for anything that might come your way whether is positive or negative. If you suffer an injury or illness that puts you out of for an extended period of time, you need to have financial protection. Fortunately, with Malden Solutions, you will have access to the best rates from the top providers in the industry. Learn why disability insurance is a necessity when it comes to protecting you and your family. Once you enroll in disability insurance from Malden insurance, regardless of the specific plan, your financial stress will be lifted. Your specific plan will cover expenses resulting from an injury or illness that has prevented you from working. All you and your family have to do is focus on your recovering and getting healthy. Disability insurance is meant to relieve stress in your life and have you spend your energy on recovery. When it comes to disability insurance, there is not just one plan that fits every individual. Malden solutions overs short and long-term packages as well as a variety of rates from several providers in the industry. 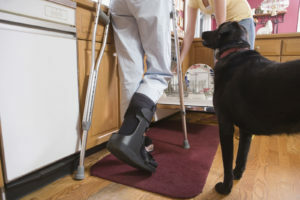 Short-term disability is only offered through an employer and covers expenses related to minor injuries and surgeries as well as maternity leave. You can only enroll in long-term disability once your short-term plan has expired; the plans do not overlap. Long-term disability covers any expenses related to recovery after a major surgery and treatment for critical illnesses. With Malden Solutions, you have a wide range of options to protect you when any health-related event prevents you from working. This entry was posted on Monday, March 5th, 2018 at 2:05 pm. Both comments and pings are currently closed.